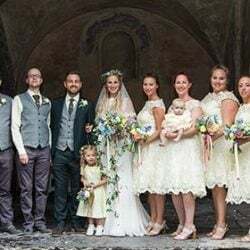 hat a magical day for our wonderful couple Sian and Ben! 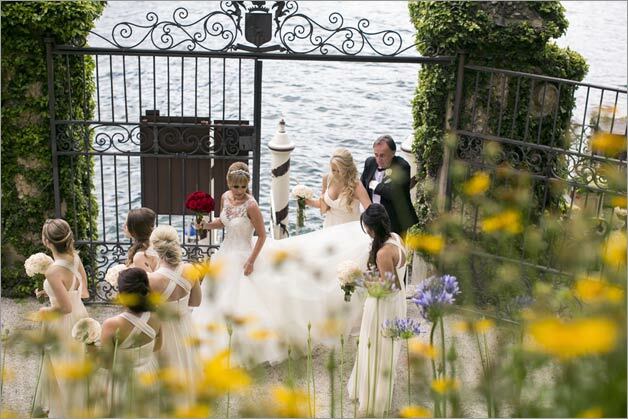 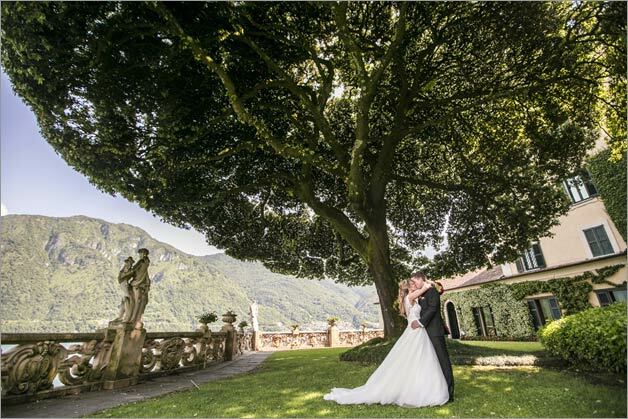 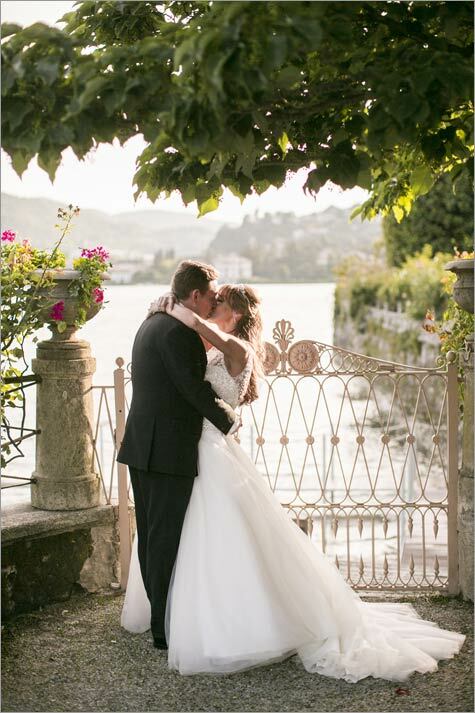 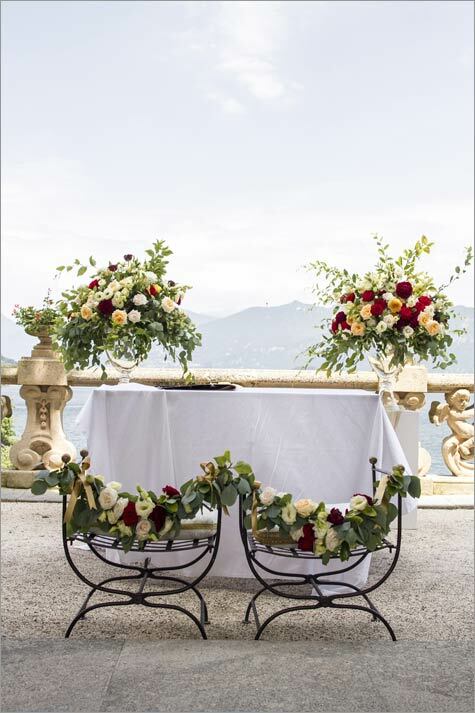 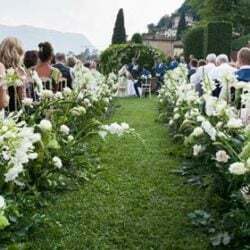 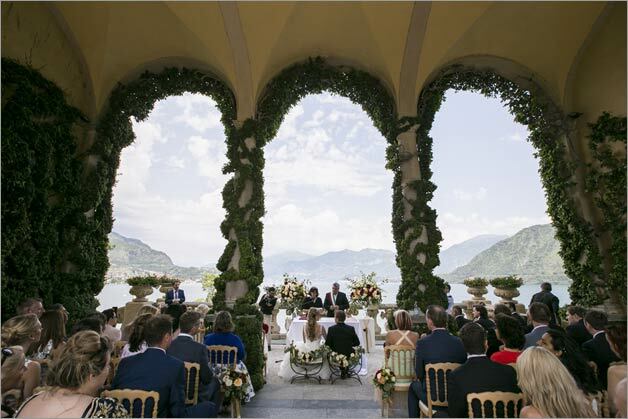 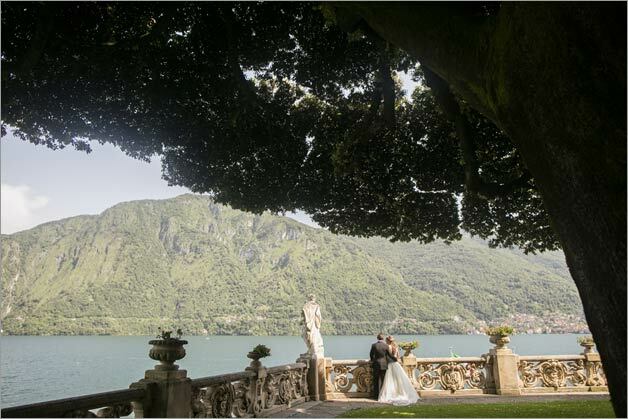 A wedding full of love and joy, where luxury perfectly mixed up with the charm of the two wonderful ancient locations they selected on Lake Como. 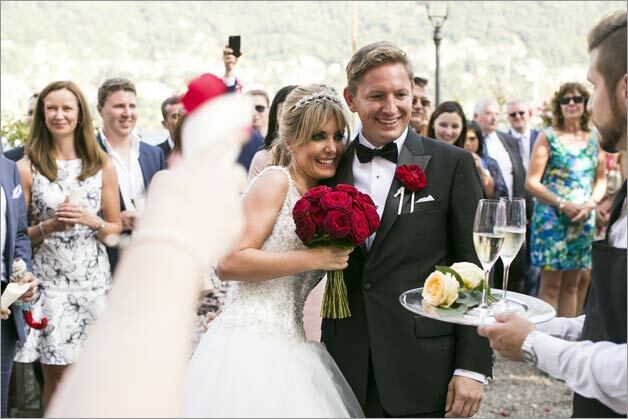 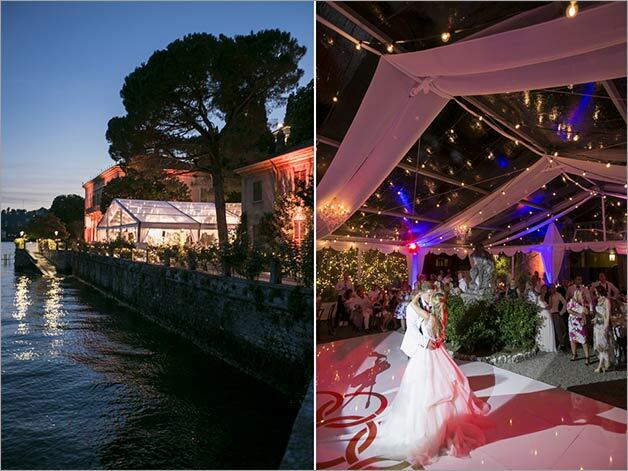 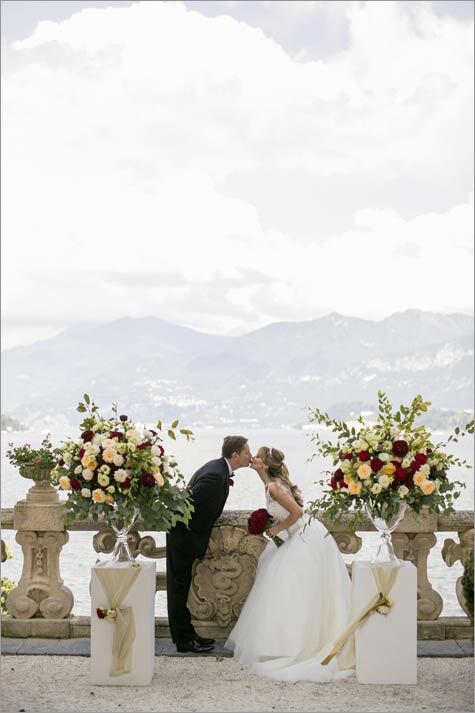 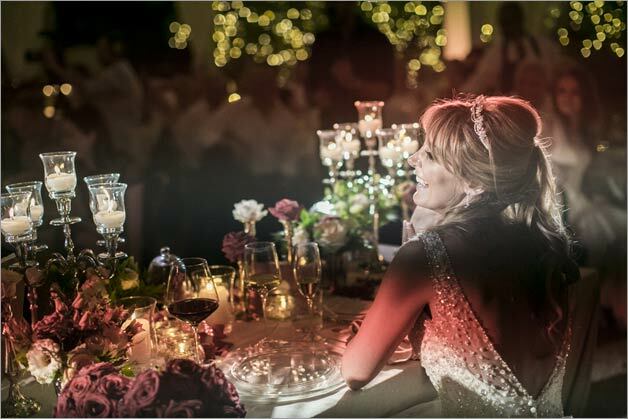 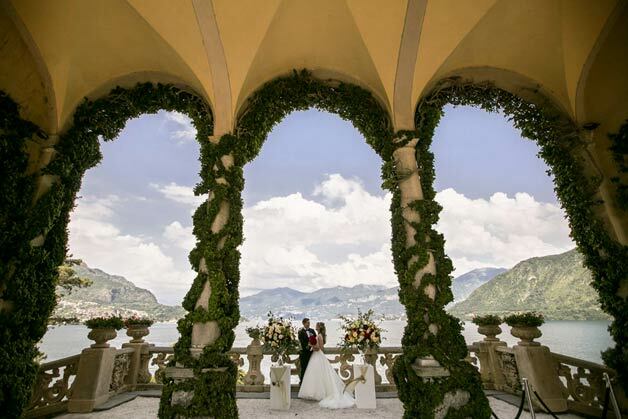 A romantic civil ceremony in the breath-taking frame of famous Villa Balbianello and a luxurious wedding reception in a refined private Villa made their special day really fabulous! 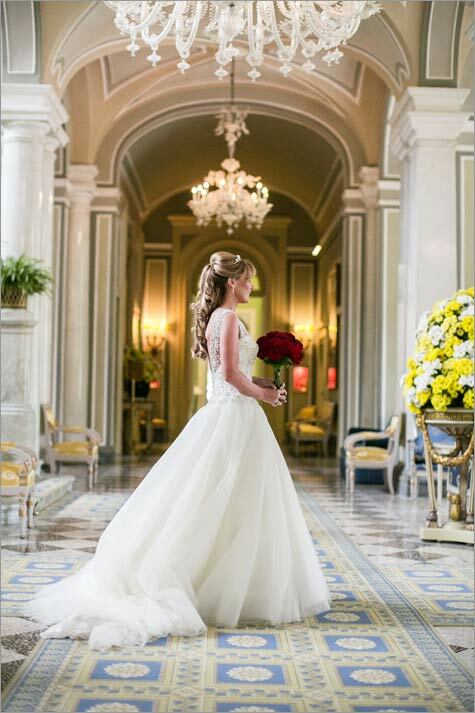 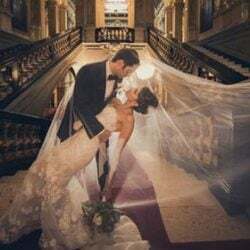 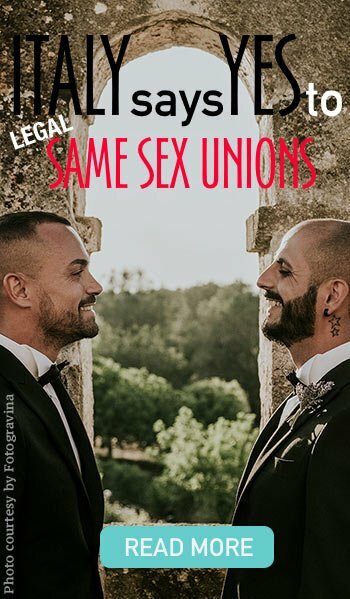 Famous wedding and fashion US magazine Grace Ormonde honored us by publishing the story of their special day on its famous blog, you can read more following this link. 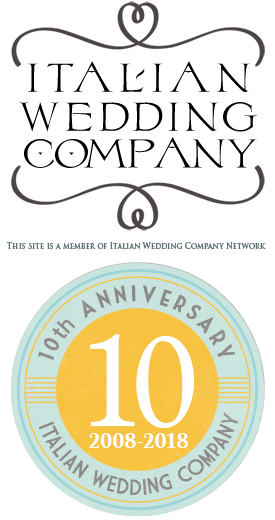 And we are proud to share this special event with us too. 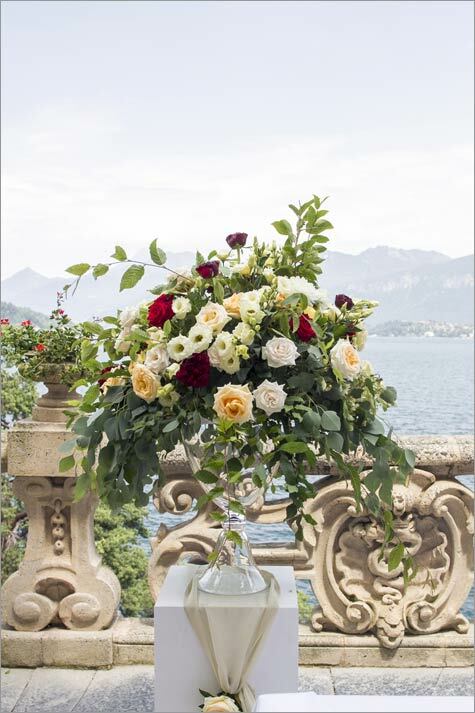 Follow us on Grace Ormonde pages where we are present as special Platinum Members. 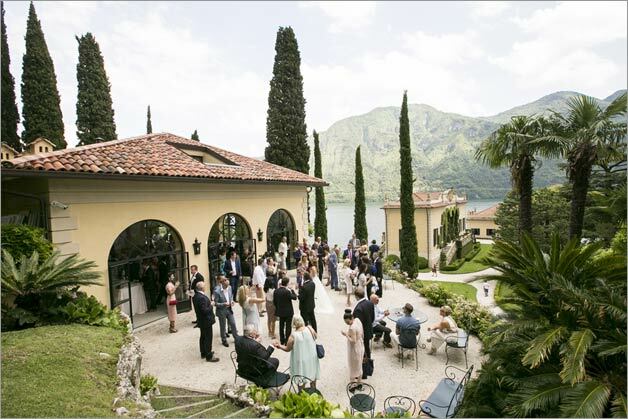 After a summer storm in the morning that left a pleasant crispy air, sun wonderfully got back on Lake Como and all guests were able to enjoy their boat transfer from Cernobbio village to Villa del Balbianello. 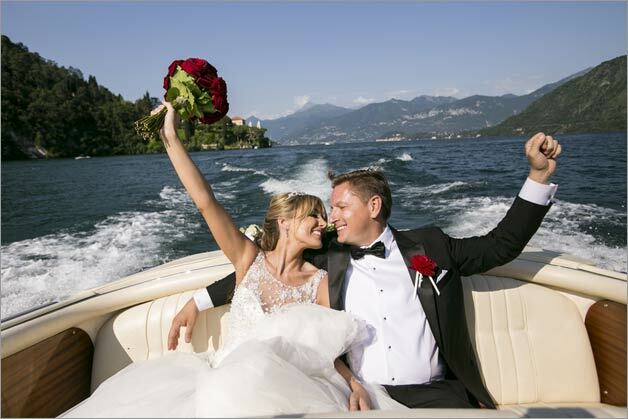 Once our couple completed their respective getting ready at Villa D’Este, one of the most beautiful and charming hotels of the area, they reached Villa del Balbiabello separately on two amazing boats, a luxury wooden one for Sian and a Riva motorboat for Ben. 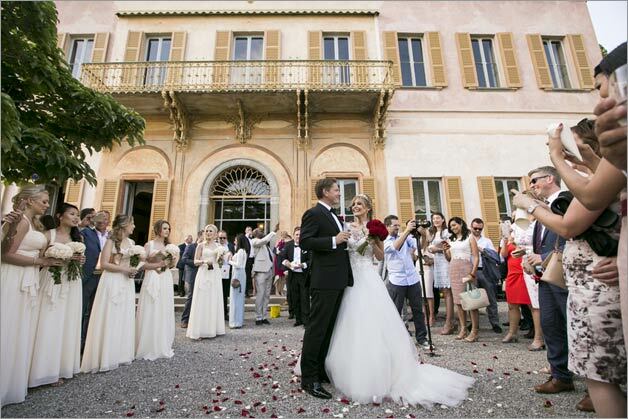 A touching and romantic civil ceremony took place under wonderful Loggia Durini of Villa del Balbianello especially decorated with amazing floral decorations. 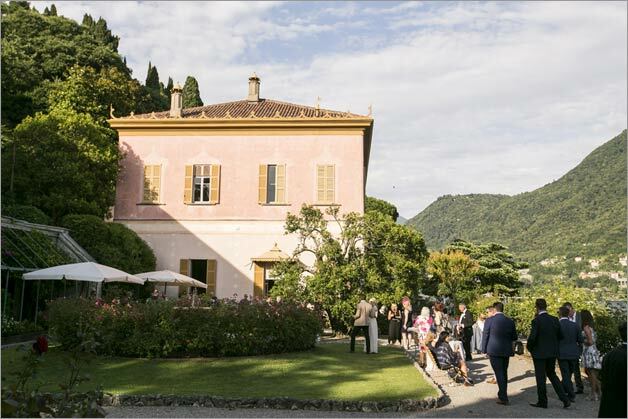 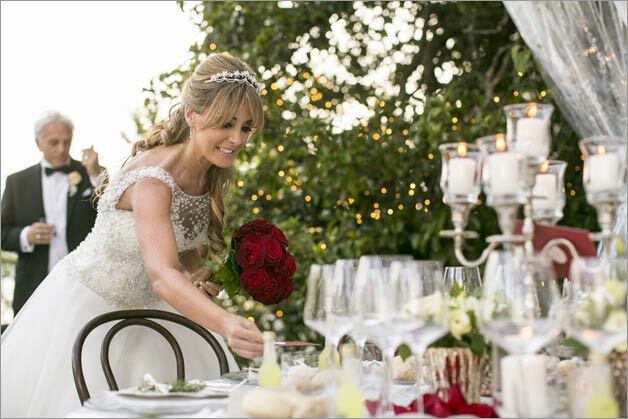 Our newlyweds enjoyed then a photo-session in the gardens of the Villa with the skillful team of Morlotti Studio (), while families and friends were relaxing and relishing an aperitif. 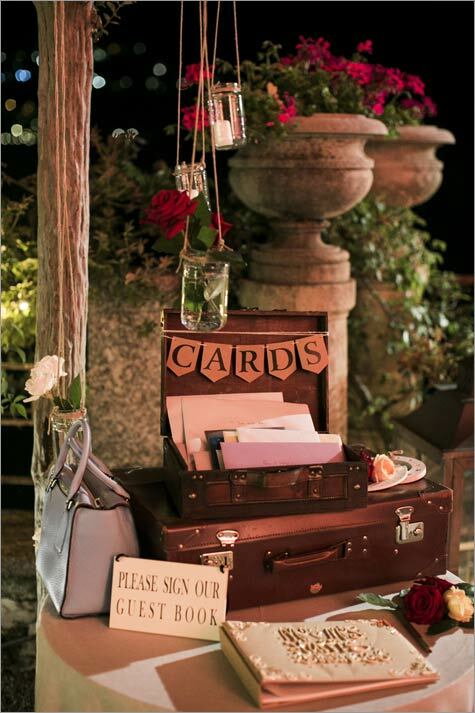 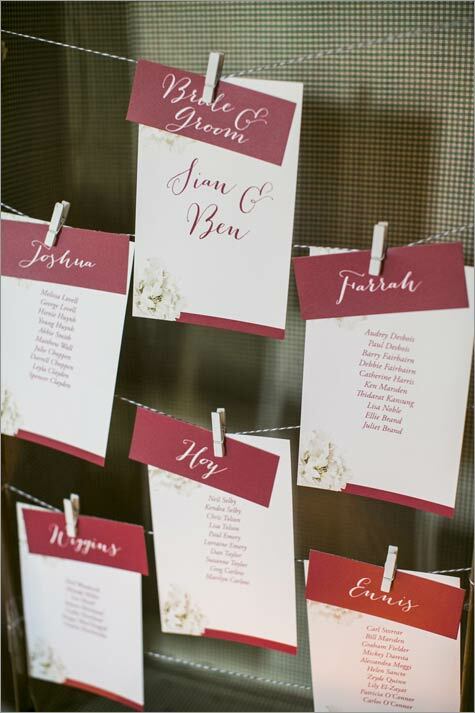 What about surprising your guests with a very special welcome at the reception venue? 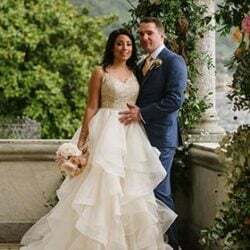 Sian and Ben chose a private ancient villa in Cernobbio, where the wonderful voice of a tenor created the right atmosphere for their arrival. 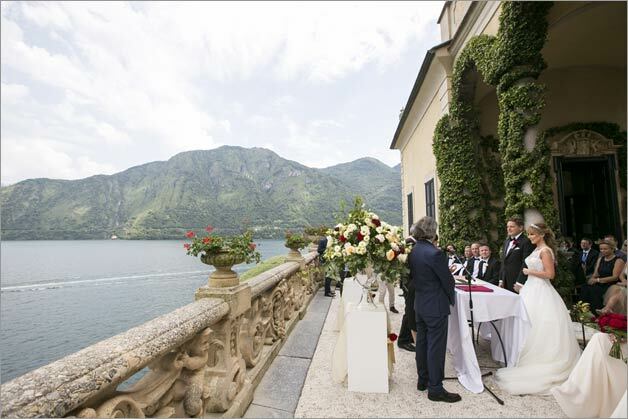 He was singing a selection of famous arias, while everyone was excitedly waiting for our beautiful couple that arrived on board of a luxurious Riva at the private dock of the villa. 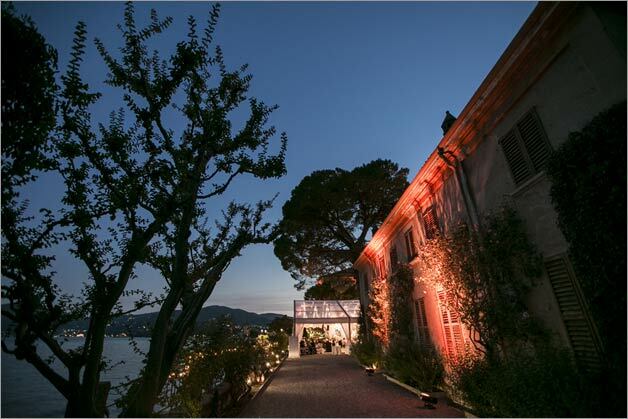 The set up was impeccable and everyone enjoyed a rich aperitif and drinks moving around a beautiful garden and indoor halls, with a background music played by a live band. 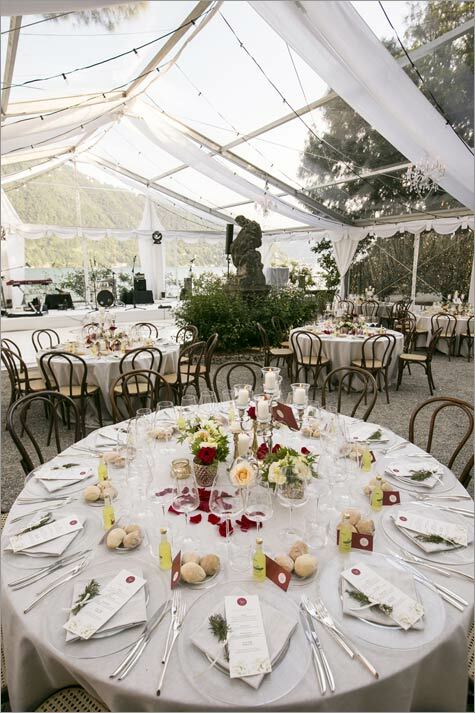 All planning was completed in advance, ensuring that everything was exactly as our couple had envisioned. 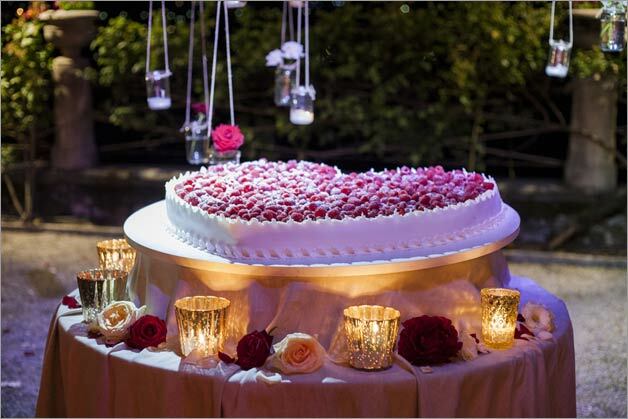 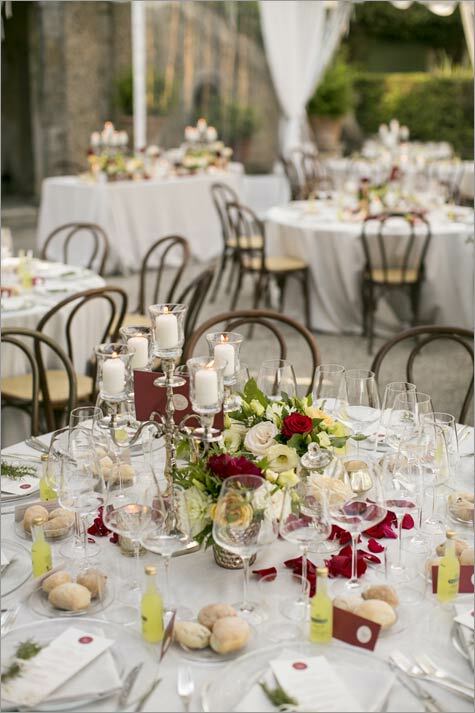 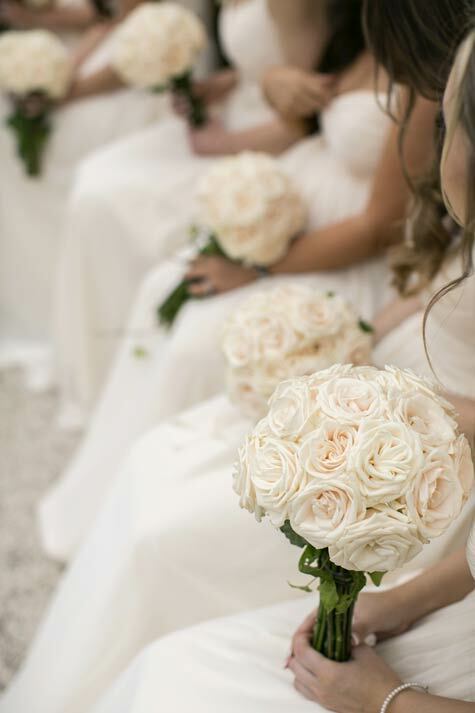 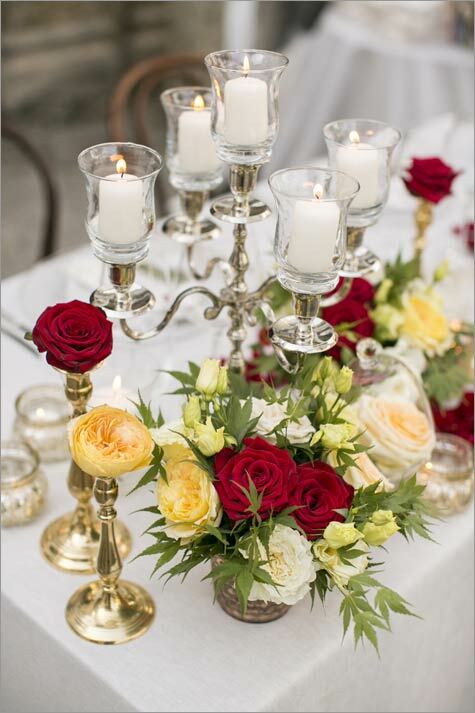 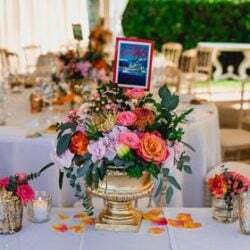 We got inspired by their personalities we took care of floral arrangements, décor and table settings. 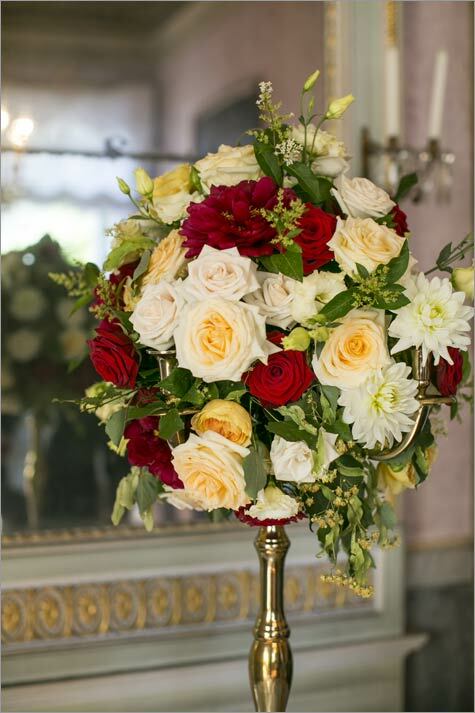 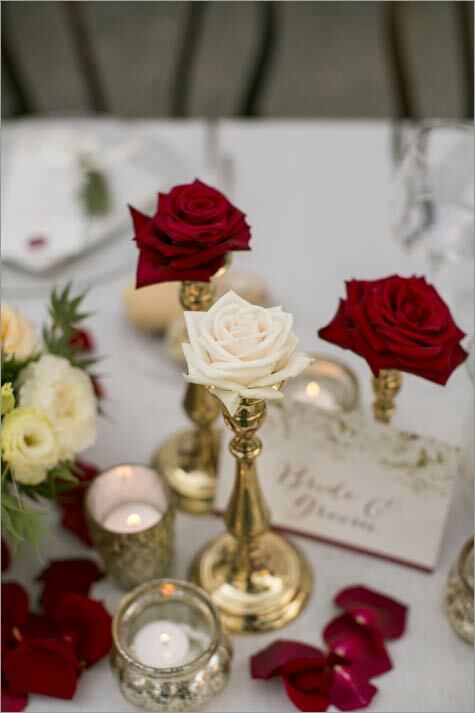 Ben and Sian Chose red and ivory for the floral arrangement and gold for the details that we especially studied for them. 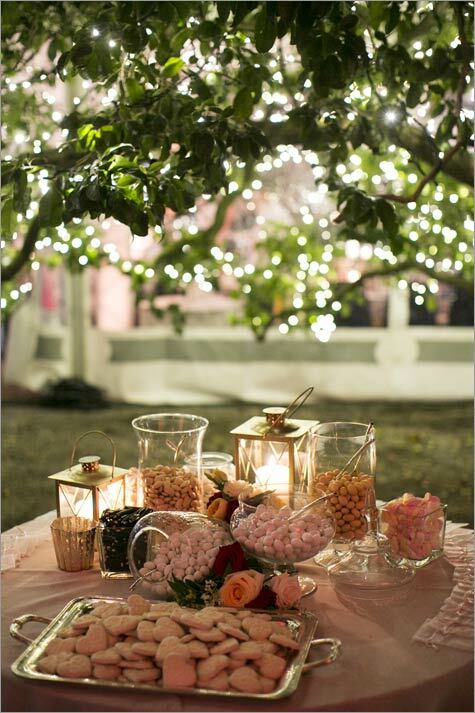 A pleasant dinner under a marquee with an eight element live band playing, followed by a dancing party with the music played by a DJ, made the rest of the night unique. 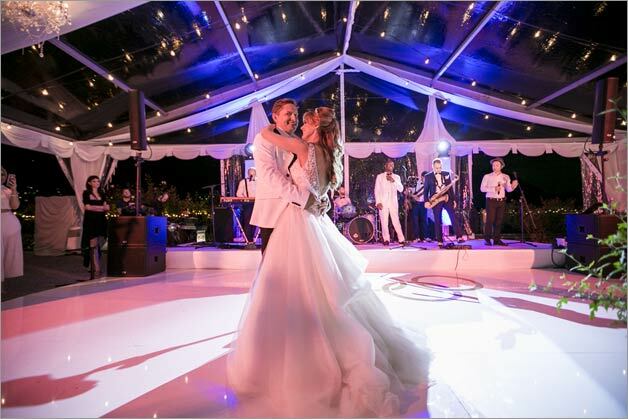 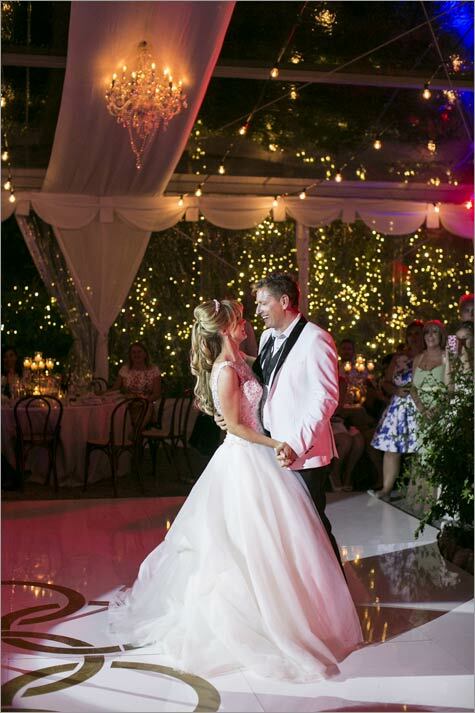 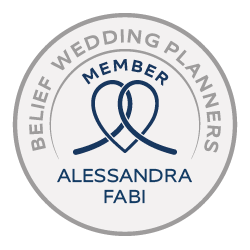 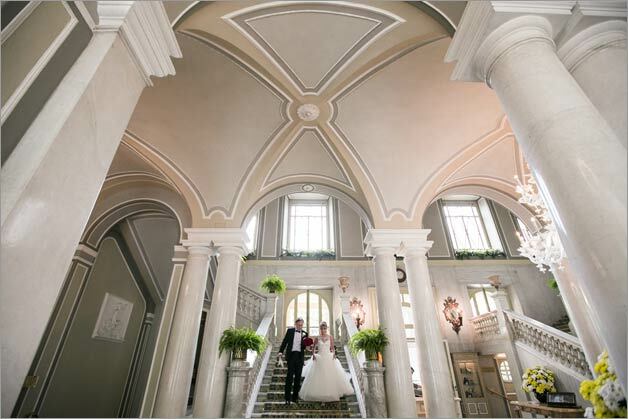 It really was a glamorous and romantic wedding that everyone couldn’t stop raving about and we are so happy this marvelous couple chose us as their wedding planners!